Looks great, when’s the first mod happening?! I’m thinking it’ll be tyres. I hear the same about the Cup 2’s. GT3 is for drier days and track days so if it’s really wet and need to get a fix I would just take the turbo instead. I've got Cup 2s on my 997.1 Gt3, my experiences with them this winter are pretty much as MJA911 has found them. They're not too bad in cold and wet conditions, although I'd not be so sure of them in standing water. others may know different. I had a turbo before. Turbo to GT3 seems a pretty tried and tested spiral into addiction! I do wish I had the means to run both - nice to see someone is able. Too many people wrongly assume the GT3 is the pinnacle when, in fact, IMHO there's still stuff the turbos do way better. I agree the both serve different purposes for me and, for a period of time at least, I am able to have both at my disposal. Cups will be ordered today and fitted next week and need to sort the clunky shift. It had a factory short shift fitted at the OPC years ago but price v function think it’s going down the route of 997 RS shifter and either cup or numeric cables. Would be interested on where you find the best deal for the Cup2s, last time I looked it was Camskill, but its a dynamic market. Digging up this old thread - now I seem to have some spare cash and a 997.1 tt ...both at the same time. I'm considering whether to change the 997 for a 997 GT3, or look for a decent 996 GT3 in addition. I'd be really interested to hear the experience of people who have run both and also people who have moved from a turbo to a GT3 - what does the turbo do better than the GT3 of either vintage? I love having both cars. Having done a few miles and several trackdays in the GT3 it just gets better the more confident and harder you drive it and you really have to drive it rather than it driving you. Flip side I have just done 2500 miles around Europe and the turbo was such the better car for the trip although I nearly didn’t have a choice!! The turbo is just so good at everything especially with some modifications and setting up. Crossing countries is easy and quick then get to the mountains, turn the traction off and it carved up the passes begging you to push on further. I mentioned it before but I have a living the legends article in Total 911 so I put everything good bad and indifferent in there. I should try and copy it across. Both cars are easy to work on (in my opinion) so maintaining them is not too ruinous until something big goes.....that said I am just purchasing a much bigger house which is a total project so how long I will get away with having both cars plus school fees and bigger mortgage who knows. Worth a try though!! Have been following this thread and more so since I've been looking to chop my 997.2 turbo in for a 991 GT 3. This has all stemmed from starting to have a crack at Track days, Croft is local to me so it's too convenient! As an aside I broke my golden rule of never getting involved in a free for all track visit in the turbo, I had a session around Donington the other week. This really showed the short comings in a road car on a race track, especially something that picks up speed as rapidly as a Turbo in Sport Plus mode! The brakes were basically boiled after two fast laps, then the tyres started felling a bit 'greasy' as they got hot, then I noticed the oil temp heading past 100 degrees so I backed off and cooled things down! I figured that having an off in my precious turbo could cost me a lot so I bought a Westfield Megabusa and as my mate would say it's 'Radio Rental'! I've now sort of shelved the idea of a GT 3 but only because two dealers said I had the best all round Porsche and not to part with it, I know I'm biased but I have to agree with them. I agree in standard trim the turbo does have a few shortcomings on track managing the power and weight. The brakes I found to be an easy fix with decent fluid and braided HEL lines. I get a very stable pedal for around 20mins sessions. The GT3 has alcons withe pagid RS29’s and they take a hammering for ages without any issues. I run ohlins on the turbo so that has helped a lot, also keep your tyre pressures stable has a massive impact on how the car feels. I have run Toyo’s and Michelin’s on the turbo and GT3 is exclusively on cup 2’s so far. If I was doing a lot of track days in a Porsche and had the space to get them there I would run track tyres instead of road tyres on a separate set of rims. Track tyres are a no go in wet conditions! The Trofeo's are apparently brilliant but so is the price, nearly £500 a corner! The Toyo 888's are sensational once they heat up, very very grippy only problem is with too much grip is when you lose it! Would love to drive a 'cup' car with race brakes, it must be incredible the stopping power they have. 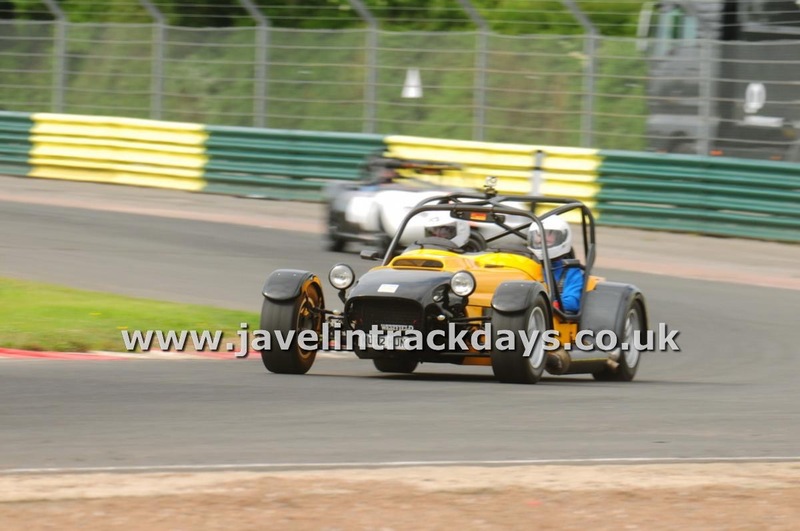 The Westfield ain't fast on top end but it can out corner nearly anything other than a Radical and accelerates like a cat with a cracker up it's trumpet! I find the Cup 2’s fine in the wet under normal driving just standing water but it’s the same with most wide tyres to be fair. I have some worn slicks and wet weather race tyres that I have been given so will chuck them on the spare rims at some point as I would to try them. I will just make a rack for the roof bars and take them off when I get to the track. To me one of the best things about the GT3 is you can drive 200 miles to the track, smash round all day then drive home again after with just a bit of fuel and adjusting tyre pressures. Bloody marvellous. I did like at a Caterham style or radical but just love the 911 shape so much. I think the trofeos in 19 were about £1200-£1400 for the set. So a good chunk more than the Michelin. For my skill level cup 2’s are plenty good enough. My car has Bridgestone Potenza's and their okay in normal day to day use but crap on the track, agree with the Cup 2 they are very good on track, my mate has them on his Boxster and they're excellent. My car originally had the bridgestones but once I went to Michelin I have never looked back. GT3 has some awful Pirelli rubbish on when I first got it, cup 2’s transformed it.